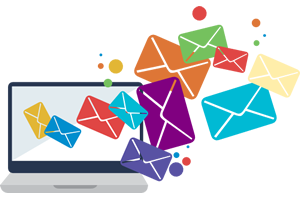 Get Email Marketing to communicate to your customers. Email is one of the most effective promotional tools around, returning about $40 on every $1 you spend. Combine that with social marketing where 4 out of 5 Internet users visit social networks or blogs, and the returns look even better. Automatic removal of bad addresses, duplicates and unsubscribes. A simple drag-and-drop email composer. You can import and export cusotmer lists. Automatic removal of bad addresses, duplicates and unsubscribes. Create a signup form for your website or Facebook page. Reports that show which emails get opened, clicked on and shared. Simple integration with Facebook, Google Analytics, Etsy and more.